I was super curious to read Messenger of Fear, as I’ve not read anything by Michael Grant before, but I’ve heard many good things about his books. Messenger of Fear was definitely an interesting read. Mara has no memory of how she came to be an apprentice of The Messenger of Fear, a young man who dresses in black and can see the darkness that brews in even the purist of hearts. When someone does goes unpunished after they’ve done something wrong, The Messenger of Fear will track them down, and offer them to play a game that they can’t possibly refuse. If they win the game, they are free to go. If they lose, they have to live out their greatest fear. But how did Mara end up with The Messenger? Read the story to find out! I was curious throughout the whole story as to why Mara was with The Messenger. What had she done that was so bad? Could it have been so bad, considering that she was a pretty likeable character? She couldn’t remember anything at all, so throughout the book I was trying right along with her to figure out what exactly was going on, and at times, this was pretty frustrating. The Messenger was really mysterious. He doesn’t actually talk much during the book, but the more you read the story, the more you get to know him. What an awful job to have as the Messenger; to have to see all of the terrible fears of the wrongdoers, while also bringing justice for the wrong that they had done. The job sounds both terrible and rewarding. 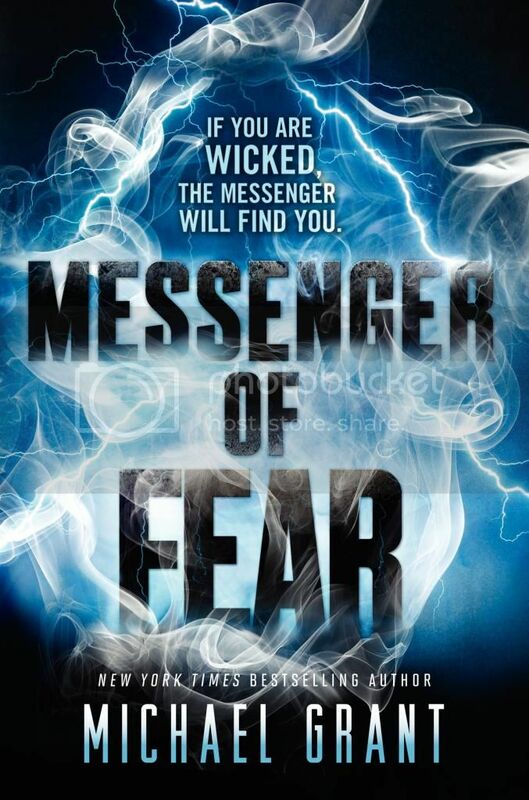 I’m looking forward to getting to know more about the Messenger as the series progresses. While Mara’s story is the main part of the novel, there are also three other stories that are intertwined in the pages. These stories show just how evil some people can be in life, and it’s sad to see just how evil they can be. To be honest, some of these stories were really difficult to read, and I felt bad for what each of these secondary characters had to go through. It was heartbreaking at times. The storyline for the book was very fast paced, as well as engaging. I read this book in just a few short hours; it definitely held my attention. The storyline was super creepy, and in some parts, very disturbing. It’s interesting how the storyline includes bullying and the repercussions of bullying someone. I always hope when reading a book like this that some kid will read the book, and will reconsider ever bullying someone. That is my hope, anyways. Overall; my first experience with a Michael Grant book was definitely interesting. This novel kept me guessing as I turned the pages. I’m curious to read the next book in the series when it is released.